September 17, 2018 / admin / Comments Off on Thanks For Coming Out To The Fall Community Bike Ride! On Saturday we hosted the 2nd ride of our “Community Bike Ride” initiative. 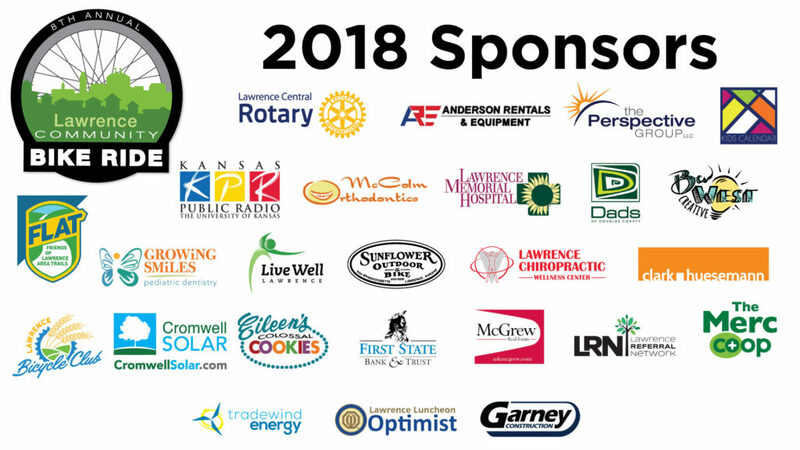 In spite of warm weather, overlap with the KU football game, and a variety of other options, we were able to total 79 participants (by counting the waivers). We had another successful helmet giveaway – as well as providing neon safety vests and shirts. For the year (both rides), we had 247 participants, we gave away 107 helmets, 98 vests, and 105 shirts (with shirt and vest totals only limited by our inventory). And, importantly, we had another successful year without injuries. We heard multiple people share that it was “…my first time on this trail!” and more than one family share that they were back with kids who had graduated from our training-wheel takeoff clinic (that Jane Huesemann leads). Below is a gallery of pictures (thank you Lynn O’Neal, Tobin Neis, and the folks at Friends of Lawrence Area Trails). Our fall ride that started at the Haskell Stadium parking lot and went up along the Burroughs Creek trail and back. We’ve reserved the space, got the sponsors, now we need you to come out and enjoy our second 2018 Lawrence Community Bike Ride. The ride will be on Lawrence’s Burroughs Creek Trail which is a great, smooth concrete multi-use path that is wonderful for beginners as well as seasoned riders to have a safe place to ride and enjoy Lawrence’s Eastside. 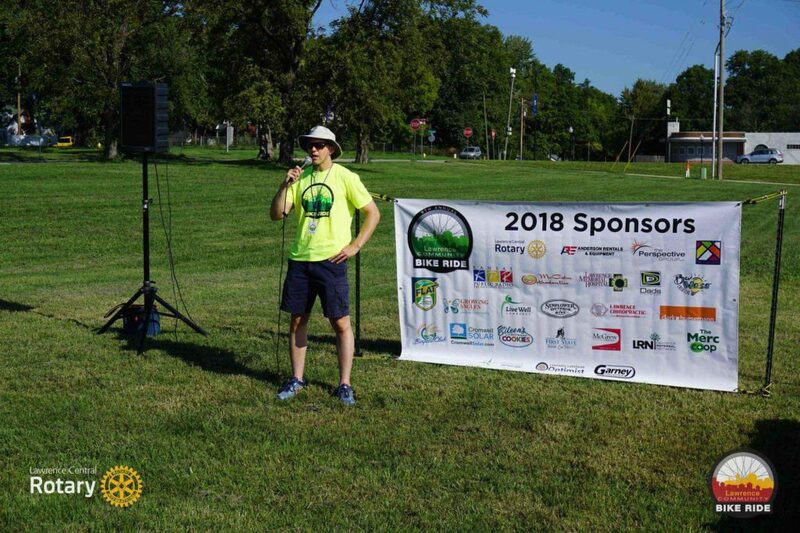 Lawrence Central Rotary’s annual event aimed at getting people out to enjoy the outdoors, by sponsoring the leisurely bike rides of various lengths starting from the Rotary Arboretum. 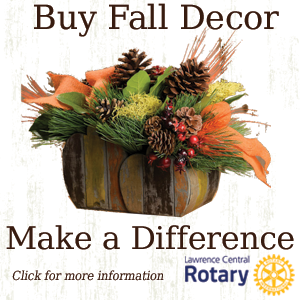 If you missed this summer’s event the good news is that it will be held again this fall on Lawrence’s Eastside. The Fall Community Bike Ride is scheduled for Saturday, Sept 15th starting from the Haskell Indian Nations Stadium Parking Lot. The ride will be along the Burrough’s Creek Trail. For more information check back or our social media outlets. Here’s a gallery of pictures taken by Lynn O’Neal, Leilani Tuttle, and Tobin Neis. 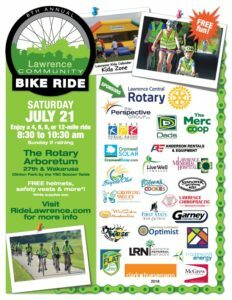 June 3, 2018 / admin / Comments Off on The 2018 Lawrence Summer Community Bike Ride is set for July 21st! 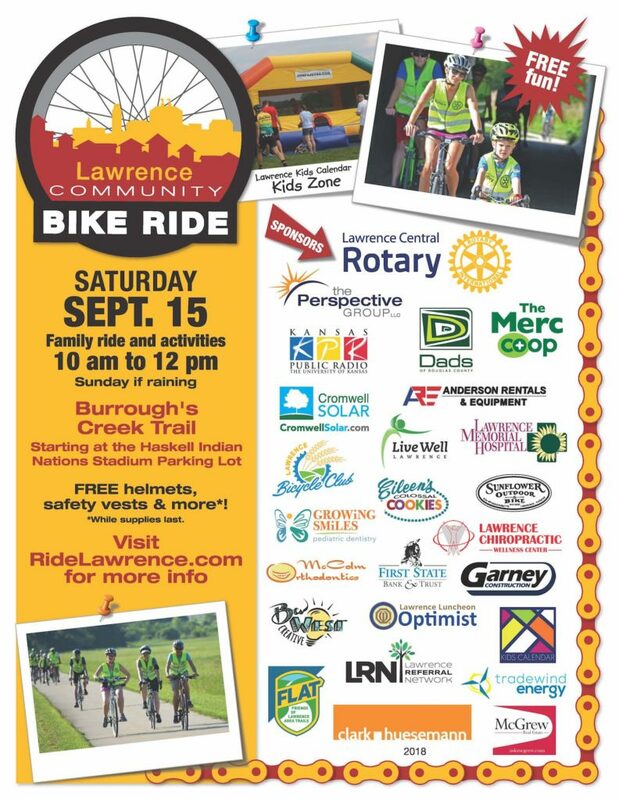 We’ve reserved the space, got the sponsors, now we need you to come out and enjoy the Summer 2018 Lawrence Community Bike Ride!